The theory of reform and opening that Deng developed several years after Mao’s death, in the late 1970s and early 1980s, did not originate with him. It was rooted in the Russian Bolshevik Nikolai I. Bukharin’s interpretation of Lenin’s New Economic Policy aimed at developing a market economy under the control of the Communist Party. Deng studied this concept in the mid-1920s in Moscow during his sojourn as a student at a Comintern school and began implementing it as soon as he solidified power. What, after all, is socialism? The Soviet Union has been building socialism for so many years and yet is still not quite clear what it is. Perhaps Lenin had a good idea when he adopted the New Economic Policy. But as time went on, the Soviet pattern became ossified. We were victorious in the Chinese revolution precisely because we applied the universal principles of Marxism-Leninism to our own realities. Pantsov and Levine somewhat misleadingly paraphrase this quote as Deng saying that “he openly acknowledged that ‘perhaps’ the most correct model of socialism was the New Economic Policy of the USSR.” Part of what Pantsov and Levine are trying to do with this, as in much of their book, is to counterbalance some of the hagiography of Deng and cut his historical status down to size. But I’m not sure how much difference it makes to our evaluation of Deng where he got his ideas from–everybody gets their ideas from somewhere, and we usually expect national political leaders to be good decision-makers rather than original intellectuals (that’s a staff job). And it was common for many of China’s early economic reforms to be justified by references to canonical Communist texts (here’s another example), which made them easier to digest. 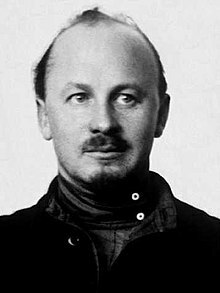 In 1981 Chinese scholars began publishing their own articles on Bukharin. 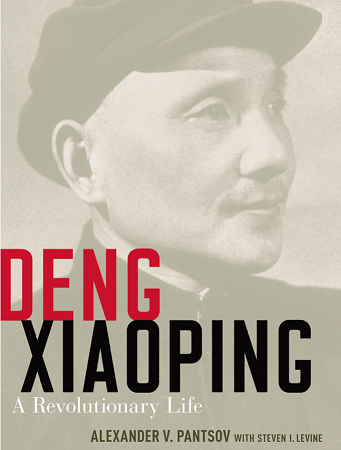 Over a period of two years, no fewer than thirty-six articles appeared in various PRC journals on his life and works. One of the first articles, by the historian Zheng Yifan, a 1959 graduate of Leningrad University, which was published in the first issue of Shijie Lishi (World History), caused quite a stir. Zheng flatly stated that Bukharin was a Marxist theorist and economist, and that everything Stalin had said about him was false. In this connection, he noted in particular the truth of Bukharin’s slogan addressed to Russian peasants: “Enrich yourselves, accumulate, develop your farms.” Understandably, he did not compare this slogan with Deng’s well-known idea that it was good to be rich, but everyone knew what he meant. Naturally, the majority of articles addressed Bukharin’s economic views. Chinese social scientists recognized that they “were relevant today.” They appreciated Bukharin’s acknowledgment that socialism in the USSR was “backward in form,” his defense of prosperous peasants, his insistence that the growth of industry directly depended on the growth of agriculture, his support of the harmonious combination of planned and market regulations, and his recognition of the important role of the law of value in commodity-financial relations under socialism. This context also I think helps us better understand the changing ideas about the economy in the first half century of the People’s Republic. The long struggle over economic policy in China was clearly not one between proponents of the planned economy and backers of a Western market economy. It makes much more sense to see it as a battle among Communists over competing interpretations of Marxism-Leninism. Andrew Walder’s recent book China Under Mao: A Revolution Derailed, which I highly recommend, argues that Mao’s economic policies in the 1950s were based on an early and extreme interpretation of Marxism-Leninism. But Mao’s ideas were already viewed as outdated by other Communist states, who were already moving toward a less rigid version of the planned economy. Deng Xiaoping, and other figures such as Chen Yun, were clearly part of a different tradition within Communism that was less strictly ideological and more concerned with improving living standards. Deng and other reform-era leaders were not Western liberals in disguise working secretly within the system; they were committed Communists who argued for the superiority of their version of Marxism.